Vogue Girl Korea‘s March issue is it’s annual pink issue, and this year it assembled another batch of starlets to model for its Pink Wings charity campaign – this year its to help young adults who are their families’ main financial support. Funds are raised through sales of participating fashion brands. I’ve collected some of my favorite of the pictures below. Last year’s Pink Wings campaign was to sell limited edition clothings from famous brands are sold to raise funds for scholarships and to help women in need, and I really liked some of those pictures as well, so am presenting those as well. My favorite is Kim So Eun – a twist on the flower goddess, and the girl needs a starring role in a prime time drama, STAT. Seo Hyo Rim, the left one is from 2010, and the right one is from 2011. She’s adorable. Kim Min Jung – love the contrast of all white, black shiny hair, and the ripe pink lips. Gong Hyo Jin – one of the best print models in the industry, I love the Paris girl in her 4th floor walk-up vibe. Yoon Seung Ah and Jang Hee Jin – the two giant be-ribboned girls are definitely eye-catching. 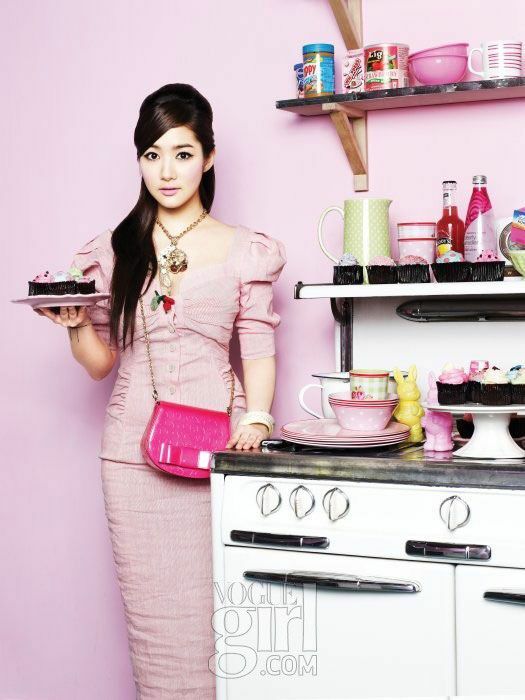 Park Soo Jin – she’s like a Korean version of the 50’s housewife, complete with her yard of pink garden flamingos. Gu Hye Sun and Sulli from the 2010 edition – the sportiness is really refreshing. Yoon Eun Hye from the 2010 edition – even in an wide-open empty room she’s always the only thing that fills the visual space. 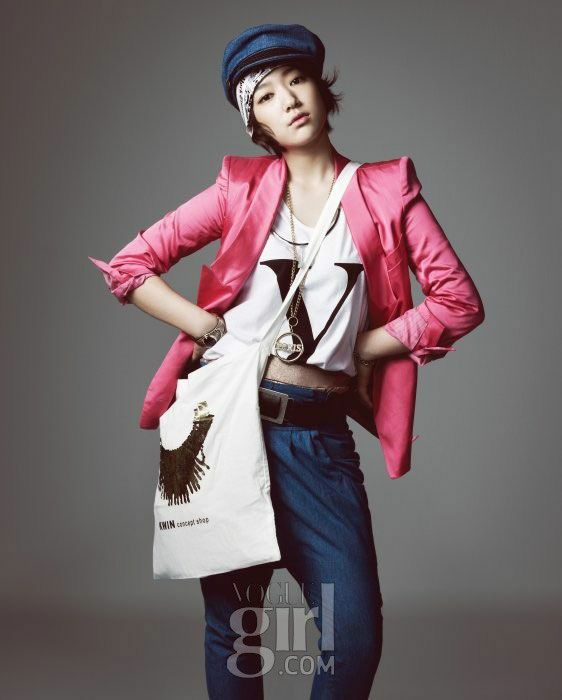 Park Shin Hye in the 2010 edition – love everything about the picture, from her pose, head tilt, style, and expression. Yoo In Na in the 2010 edition – feminine bohemian chic, plus pink heart balloons! Who says charity work can’t be pretty and pink? I love when magazines find ways to do good for the community by using its bread and butter – pretty stars in pretty clothes. I like Park Shin Hye most..she absolutely can pull off a pretty tomboy perfect. And kim soo eun looks like an romanesque goddess Indeed. wow, everyone (and all the photoshoots) look gorgeous! My mom suggested this website, and she was absolutely right in every way.